Sometime ago we spoke about an attached glue-greenhouse lam and what they are all about and how to go about building one. latest and recently completed projects. I must say, the greenhouse looks great and the owners couldn’t be any happier. I just went to visit the owners yesterday and there they were…. getting their seedlings ready for spring. Their direct garden seed shop seedlings were already sprouting out and many looked real strong and healthy, and it’s only February 28th…. A good one…. no doubt! …! have you started your greenhouse project…..? Right now.. cucumbers sell for $ 2.96 each………….Romaine lettuce sells for $ 3-4.00 bucks a bunch ? hard to imagine veggies continuing to be more expensive as time goes on…! One thing is for sure, higher prices…! Kind a wanna do it …the DIY way…. a money thing and rightly so, who in the world wants to get in debt over a greenhouse, most of us don’t. Sadly we rationalize our way out of it…… but Now we need to act on it asap…apurado…! 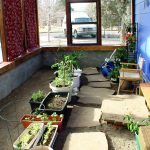 Many of us can build a DIY greenhouse on our own. I get emails from folks asking, how to build a greenhouse or a sunroom or they want information on where to buy polycarbonate sheathing, glass, plant benches. Everyone has these elements somewhere tucked away, the Greenhouse Kraken looming close….when will I begin..? somewhere, sometime, beneath the surface of our imagination and desire. Sounds medieval, I know, we made the decision to get a house for a castle, or a piece of land, or a mountain cabin. All these things began with a dream, a notion that someday I’m gonna have me a greenhouse…really…! If I don’t do it myself, I’m gonna find someone who can do this for me at a reasonable price. Right on!…yeah right….! The next thing you know you’ll be starting your very own greenhouse seedlings in February too.! …its contagious..! Building an attached greenhouse will give you …… benefits..! Everywhere else …Out of our control….! greenhouse gardening ..big plus … owning a greenhouse… ! There are many variations of greenhouses. 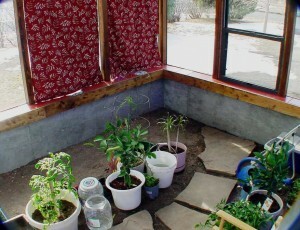 Besides an attached greenhouse, there are also lean-to greenhouses, freestanding greenhouses; geodesic dome greenhouse, solar greenhouses, and other greenhouse kits. What type best fits your preferences…. Perhaps this site can help you determine that…! LUV to…! Many sites offering all types of designs and greenhouse styles to choose from. If your set on a home attached style this is probably the cheapest way to go. then give a call…., and let’s see if we can make that dream come true…? If you’re local and would like to see one. Arrangements can be made to visit a recent greenhouse project…! Seeing a home attached greenhouse up close is always more informative. questions, here! …….please subscribe for future helpful info..